"I have been a patient of Dr Gregory Gertsen for 17 years. He is a brilliant doctor." "One of the best experience I've ever had with Dentistry." "I would recommend them to everyone." "We travel 20 miles to come here and will continue to do so." "Million times THANK YOU! you are the best and professional team!" "Fabulous care with state of the art technology." 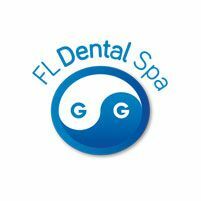 FL Dental Spa is a state-of-the-art general and cosmetic dental practice in Lighthouse Point, Florida. From its convenient location in the beautiful Venetian Isles Shopping Center, FL Dental Spa serves patients from the Broward County community and the surrounding area, including Boca Raton and Miami Beach. The practice is owned and operated by Dr. Gregory Gertsen and Dr. Michael Gertsen, a father-son dental team with decades of collective experience. FL Dental Spa offers a complete menu of general and cosmetic dentistry services, including consultations, routine exams and cleanings, in-office teeth whitening, single-visit crowns, veneers, implants, extractions, and much more. The main goal of the dentists at FL Dental Spa is to help each patient achieve and maintain optimal oral health as well as a beautiful smile. They strive to establish a trusting, open doctor-patient relationship by taking time to explain each treatment option, offering better strategies for at-home preventive care, and easing dentist-related anxiety. FL Dental Spa is a welcoming, comfortable dental office run by knowledgeable, friendly staff. The practice accepts a variety of dental insurance plans, so call the office or book your appointment online today. Call or book online today for your personalized dental visit!